Spectacular Venue, Food and Service! I found this venue through Instagram and contacted them as soon as we found our wedding date. there are so many food options and beverage options. All our guests can't stop talking about the food, the service and the venue itself. It is beautiful on its own without any decorations. The staff during the reception were amazingly attentive, always kept us well fed. Stephanie was amazing to work with and always replied to questions promptly. The moment I walked into Marche, it took my breath away. It is such an elegant and beautiful venue in the perfect location. 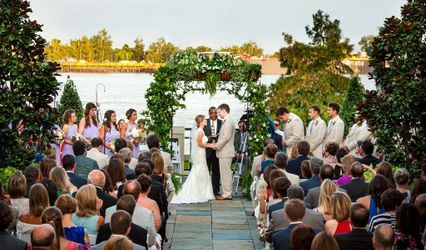 Marche was just the right size for my wedding reception (about 175 guests), and everyone loved the view of the Mississippi River and the French Quarter. It was so nice to have the small bridal room with a private restroom where my husband and I were brought to eat our dinner. The staff even setup a table in the private room with the couch for my parents to enjoy their meal before heading out to the reception. 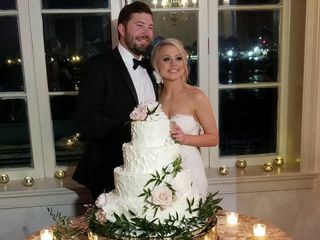 The entire staff was so friendly, professional, and accommodating the entire night, and Stephanie was fantastic to work with through the entire wedding planning process. On top of the view, the location, the staff, and the beauty, Marche also had the BEST food!!! Every single thing was SO good, and all of our guests could not stop talking about how wonderful the food was! Thank you, Stephanie and the Marche staff for making our day perfect. If anything went wrong, I never knew about it, and there is nothing more than I could have asked for. It was amazing!! Marche was 1 of 4 venues we looked at in person and we knew as soon as we left that was the venue for us! Working with Stephanie at Marche was great! I sent her about 100 emails throughout the planning process and she was always timely with her responses. We had a tasting about 4 months before the wedding and it was delicious! 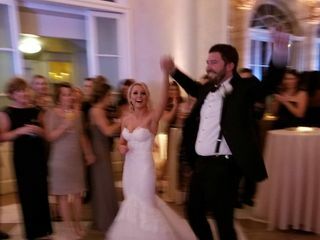 Fast forward to the day of the wedding, everything looked amazing (we had several items we brought with us for set up). Marche is a beautiful venue, has a great food, has wonderful service and is in a phenomenal location. 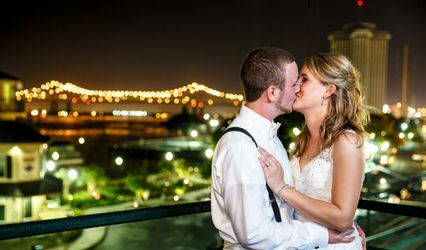 As an out of state bride, many of our guests wanted to go out in the Quarter after the reception so this location worked out great for that! Thanks so much, Stephanie! Everything was amazing! Thank you so much Heather for the wonderful review! 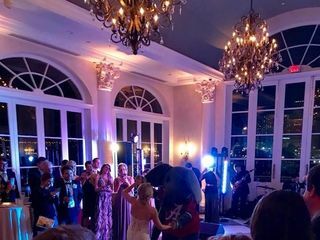 It was great working with you and I'm glad that we could help make your day special! !